Black Rhino’s Taupo off-road wheels are engineered to fit a wide range of lifted trucks and SUVs, including the popular new Jeeps, Durangos, VW Amarok, most CUVs and Mercedes’ Sprinter van. That’s facilitated by five wheel sizes, including 17×9, 18×8, 18×9, 20×9 and 23×10. In all cases, oversized lips provide a safe secure bead seat for the big, knobby wheels the off-road crowd prefers. In addition, 5, 6 and 8-lug bolt patterns are supported and offsets range from -22mm to +12 mm. Taupo truck rims are engineered for strength, durability and long-lasting good looks. Taupo truck wheels feature a classic 16-spoke design, with abbreviated spokes radiating from the recessed bolt plate to a slotted outer lip. 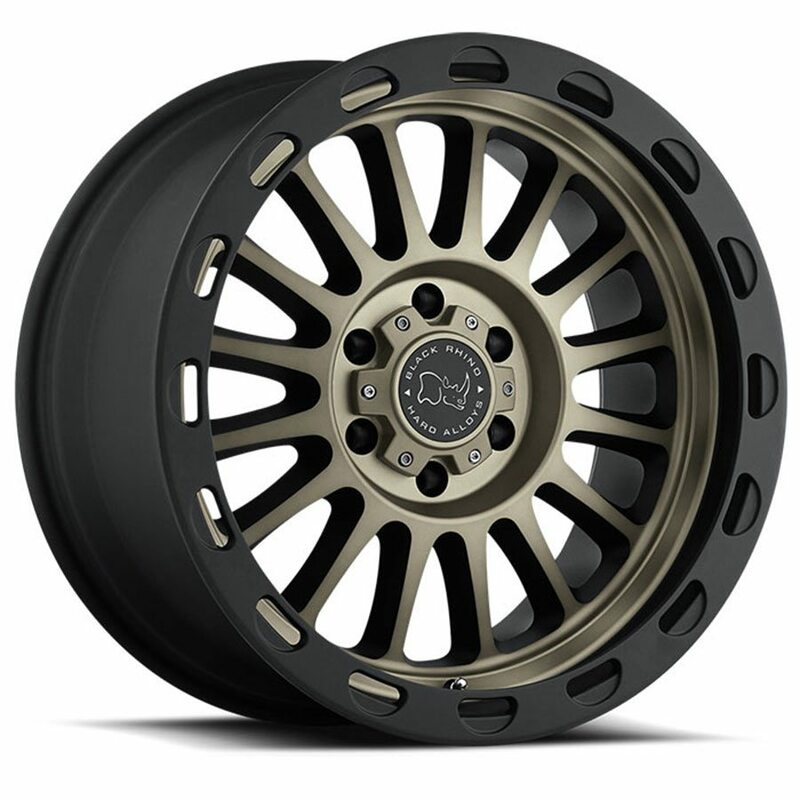 At Black Rhino, we have focused on developing groundbreaking new finishes for our family of off-road rims. Taupo wheels, for example, are available in a striking matte black with a machined face in a dark matte tint and matte black with a matte machined face.